FILE- A display of TiVo boxes at the 2005 Consumer Electronics Show January 6, 2005 in Las Vegas, Nevada. The Digital TV listing company Rovi is buying the DVR maker in a cash-and-stock deal valued at about $1.1 billion. 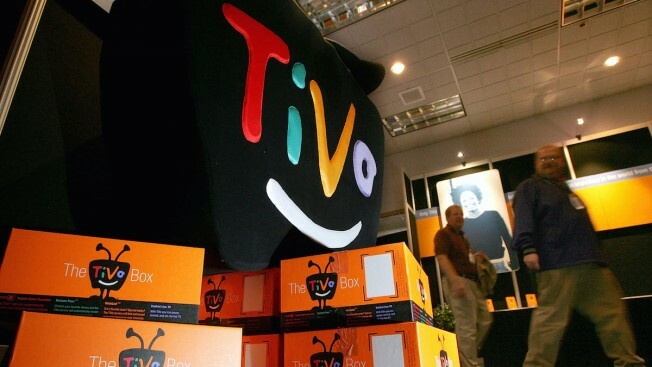 Digital TV listing company Rovi is buying TiVo in a cash-and-stock deal valued at about $1.1 billion. Shares of TiVo, based in San Jose, California, added 17 cents to $9.59 in premarket trading. Shares of Rovi, based in Santa Clara, California, surged $1.15, or 6.6 percent, to $18.50.